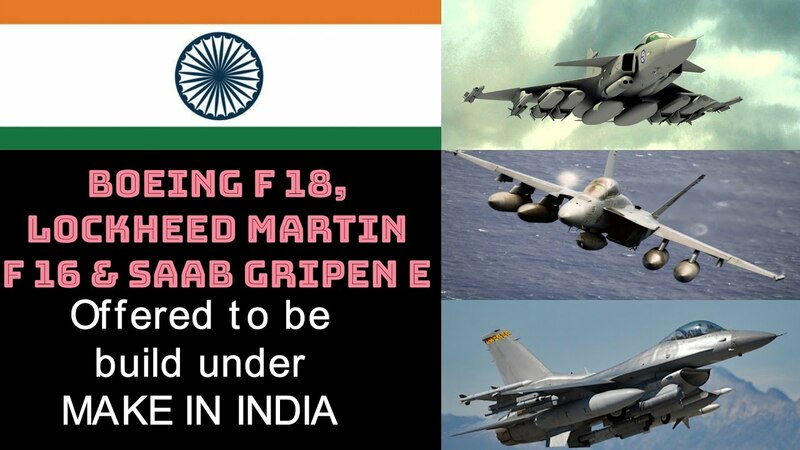 Global aerospace manufacturers with huge stakes in India’s proposed procurement of hundreds of fighter aircrafts, are struck by the level of detail the Indian Air Force (IAF) has sought in a Request for Information (RFI) issued on Friday. Last October, the IAF issued an even shorter, one-paragraph RFI, soliciting interest in supplying the IAF with 100-200 single-engine fighters. “The latest RFI seeks to avoid the mistakes of previous procurements, especially the MMRCA tender. In those, vendors were not pinned down to clear commitments about transferring technology. This time, the commitments demanded ensure that non-serious vendors would be eliminated at the RFI stage itself.” Unwilling vendors may not even be issued an RFP (request for proposals), points out Air Marshal Nirdosh Tyagi, who managed the MMRCA procurement for several years. The RFP is a formal tender that is issued to vendors whose response to the RFI meets the military’s key requirements. It will be issued after detailed scrutiny of vendor responses to the RFI, which must be submitted by July 6. IAF sources hope the RFP would be issued by this year-end, but admit that the defence ministry’s track record makes this an optimistic time frame. In the MMRCA procurement, the RFI was issued in 2004; and the RFP eventually in 2007. Another key difference from previous tenders is the RFI’s focus on the operational capabilities the IAF requires – incorporating details of “air superiority” missions that must be carried out at 6 kilometres (20,000 feet) altitude, Lo-Lo-Lo ground strike (ingress, strike and egress at a low altitude of 150 metres), anti-shipping strikes, and others. In the MMRCA tender, much of the emphasis was on flight performance, such as turning radius, climb rate, sustained turn rate, etc. This time, the aircraft is treated as a combat platform, not just a pure flying machine. The RFI enquires into operational ability, such as the time needed for a fully-armed and fuelled fighter to climb, using full afterburners, to an altitude of 3 kilometres and separately to 10 km altitude. This would indicate to IAF evaluators a fighter’s ability to position itself dominatingly against rapidly approaching enemy fighters. The October RFI, which specified “single-engine” fighters, effectively reduced the contest to two aerospace vendors – Lockheed Martin and Saab – since they were the only companies with high-performance, single engine aircraft: the F-16 Block 70 and Gripen E respectively. However, the current RFI opens the doors to four more vendors with twin-engine fighters on offer. These include Boeing (F/A-18E/F Super Hornet), Russian Aircraft Corporation (MiG-35), Eurofighter GmbH (Typhoon) and Dassault, which is already executing a contract for 36 Rafale fighters, signed in June 2016. A key gainer is Boeing, which is already well placed in the navy’s acquisition of 57 carrier-borne multi-role fighters. Saab, a Swedish aerospace company, which similarly finds a two-horse field now expanded to 5-6, has reserved comment until it analyses the RFI. “We believe Gripen is the best choice for India and that Gripen will satisfy the Indian needs in the best possible way”, says a statement from Saab.